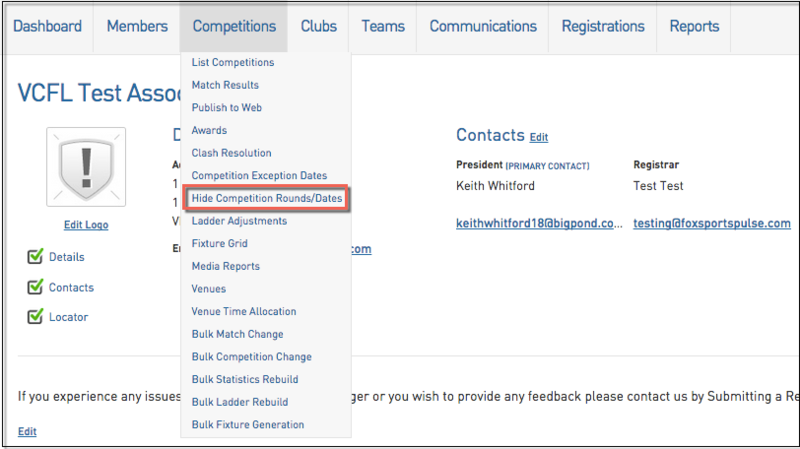 Hide Competitions Round/Dates from your Website If you wish to not display all of the fixtured rounds for any competition you can use the Hide Competition Rounds/Dates functionality. This will allow you to hide specific rounds or a date range of rounds from displaying on your website. 2. To hide multiple rounds, click Bulk Hide on the right hand side of the screen. 3. 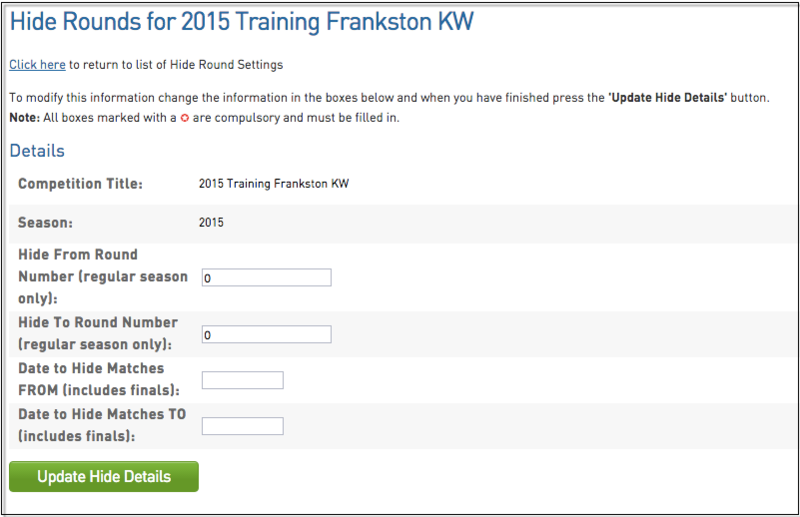 On the next page choose a Season and Competition Type and click Search for Competitions. 4. Ensure the Competitions highlighted are correct and choose to either hide rounds by Round Number or hiding matches by Date Range. Once done Click Bulk Update.